Republican leaders lashed out at a decision by President Barack Obama to sidestep Congress and appoint Donald Berwick, 63, to the top post at the CMS. "Democrats haven't scheduled so much as a committee hearing for (Berwick), but the mere possibility of allowing the American people the opportunity to hear what he intends to do with their healthcare is evidently reason enough for this administration to sneak him through without public scrutiny," the Senate's top Republican, Mitch McConnell of Kentucky, said. Sen. John Barrasso (R-Wyo. ), a physician who has repeatedly called out Berwick over his apparent fondness for the government-run health system in Great Britain, said the appointment is "an insult to the American people." "Dr. Berwick is a self-professed supporter of rationing healthcare and he won't even have to explain his views to the American people in a congressional hearing," Barrasso said. Under regular process, Berwick's nomination would have first come before the Senate Finance Committee, which then would decide whether or not to move it to the full chamber for a vote. But Obama appointed the soft-spoken, patient safety advocate as CMS administrator today. "It's unfortunate that at a time when our nation is facing enormous challenges, many in Congress have decided to delay critical nominations for political purposes," President Obama said in a written statement announcing the appointment. Since the nomination back in April, Republicans have been vocal in their criticism of Berwick, due largely to statements he has made over the past decade that seemingly favor the idea of holding back some medical treatments as a means to tamp down soaring healthcare costs. Politics aside, Berwick has been a darling of the provider community for years—many of who know him through his work as the founder of the Cambridge, Mass.-based Institute of Healthcare Improvement. In June, the American Hospital Association, the Federation of American Hospitals and the Catholic Health Association all endorsed the nominee. 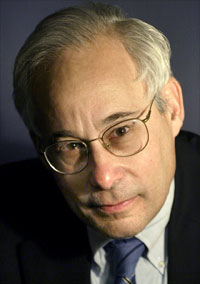 "Dr. Berwick has dedicated his career to improving the quality and safety of our nation's healthcare system, and will bring a wealth of knowledge and practical experience to CMS from his perspective as a physician, teacher and passionate advocate for high-quality care," the groups wrote in a letter sent to congressional leaders. The Constitution allows for such procedural moves, known as "recess appointments," to be made. Historically, most appointments have come during longer-term breaks in the Congressional schedule. What's more, lawmakers were still gathering information on Berwick when Obama announced his plans yesterday. The CMS has been without a permanent director since 2006, when George W. Bush appointee Mark McClellan left the post. Berwick's appointment will hold until late 2011, when the current legislative term draws to a close. As CMS administrator, Berwick will oversee implementation of the meaningful-use criteria developed to evaluate providers' use of electronic health-record systems. Final meaningful-use rules have been sent to the Office of Management and Budget for review; see the story below.